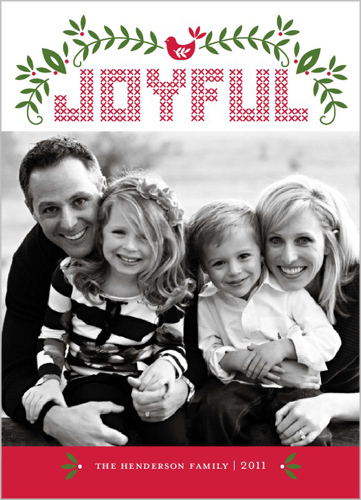 Last year I had the opportunity to write a post about some of my favorite Christmas cards from Shutterfly and order some Christmas cards for our family for free. 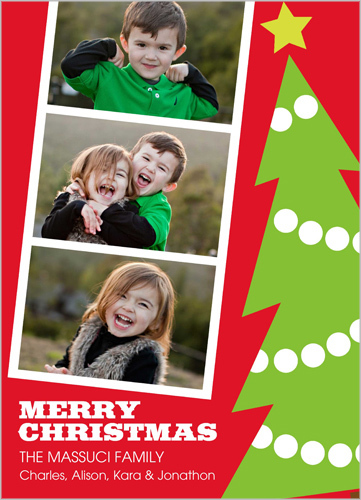 The folks at Shutterfly were so great to work with, the cards arrived super quick, and everything was top quality. I couldn't be happier to have that opportunity again this year! 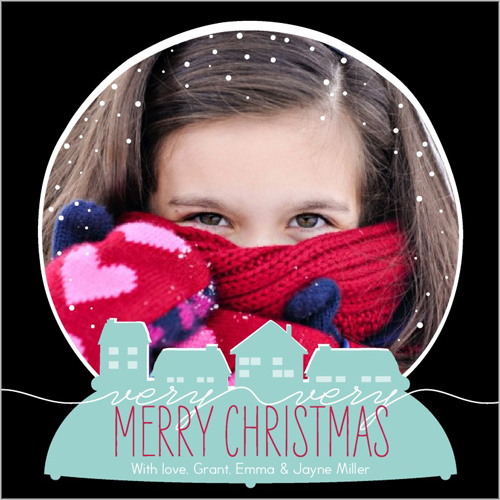 And this year three of you will get to order FREE Christmas cards from Shutterfly too! As my siblings and I grow up and move farther apart, Christmas cards have become a great way to send a note to everyone each year and remind them that I love them. Since we moved and had some other bigger things happen this year, I'm considering one of these nifty "Top 10" cards as a quick and easy way to update our friends and family about our lives. I'm also strongly considering going the funny route with our cards this year. I'd love to get this card and put in a picture of Bryan, Olivia, and myself sprawled out on the ground so it looks like the globe got all shaken up with us flying in different directions. Though the selection of retro-style cards is also rather tempting. 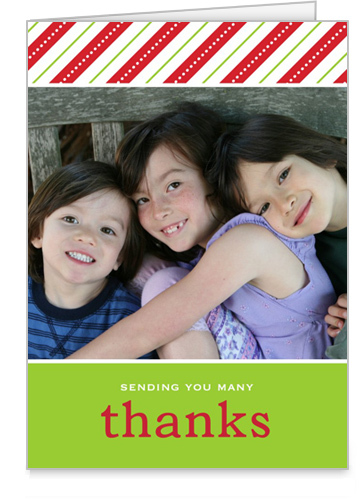 I also love that Shutterfly has a great selection of Thank You cards to choose from. In my house growing up, thank you cards were just as much a tradition as giving gifts. That's a tradition that I hope to pass on. 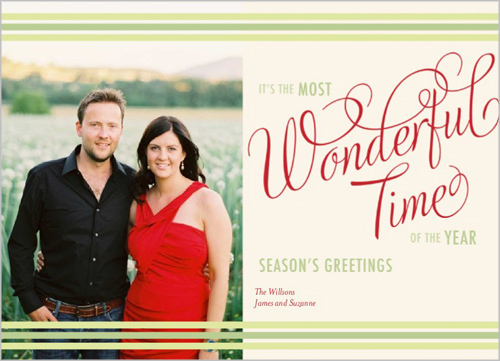 And if you're into Christmas, but not so much the red-and-green craze, Shutterfly also has loads of great options in their Holiday cards. I'm a big fan of the fun styling and bright colors. Would you like to order some for your own family? 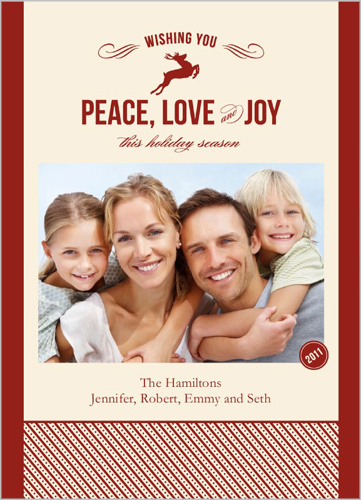 Three lucky winners will receive a coupon code that lets you order 25 5" x 7" cards from Shutterfly. Make sure to include your e-mail address. This giveaway will remain open for entries until midnight on October 30th. Winners will be randomly chosen and announced on November 1st. Oh my, am I first? Please add my name to the list to win! Oh yay! 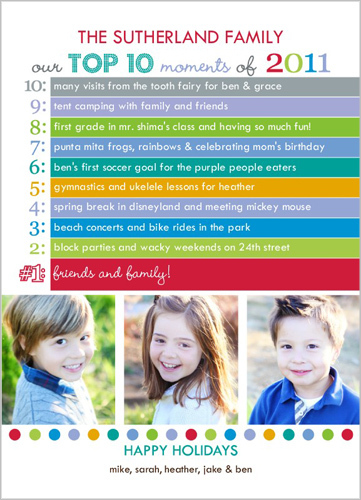 I love Shutterfly cards and would loooove 25 free!! How fun! I live shutterfly too! 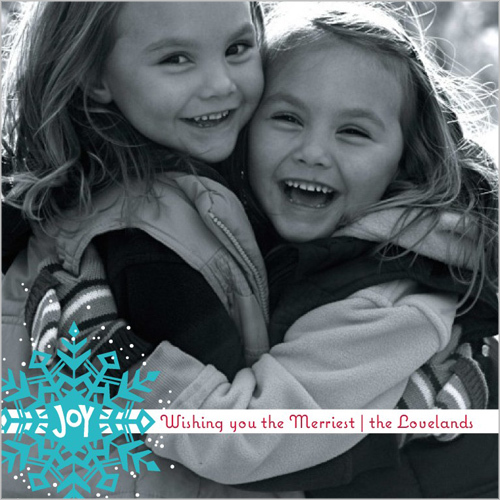 Shutterfly cards are wonderful! This wold be great to help me get a jumpstart on my cards! So exciting! 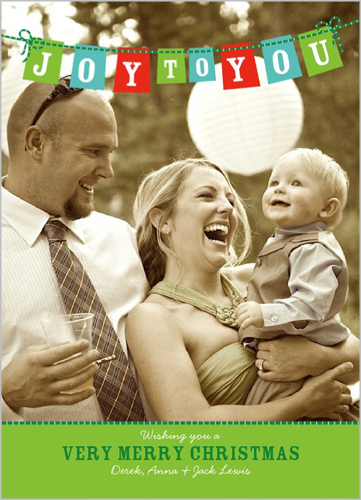 I love shutterfly and have used them to make 2 of my kid's baby books. jen_fluffy (at) hotmail (dot) com. Thanks for the card ideas! 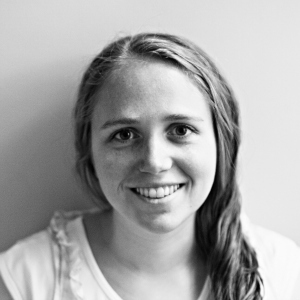 I love Shutteryfly and have used it for years. Would love to share some photo this Christmas with cards, add my name to the list and then please pick it. Love the top 10 idea. How cute and fun! 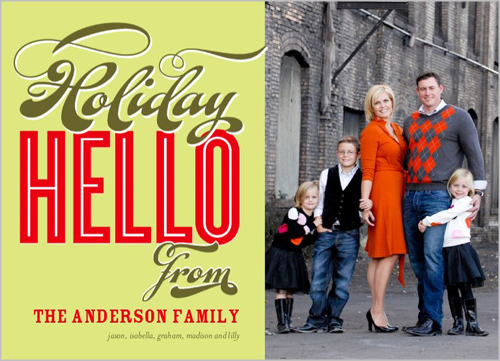 My family has never been big into giving Christmas cards, but this would be so easy! Not to mention fun to scroll through and pick which ones to get! The snowglobe card sounds hilarious. awesome! I really need to start thinking about our cards. These were some great picks to share. 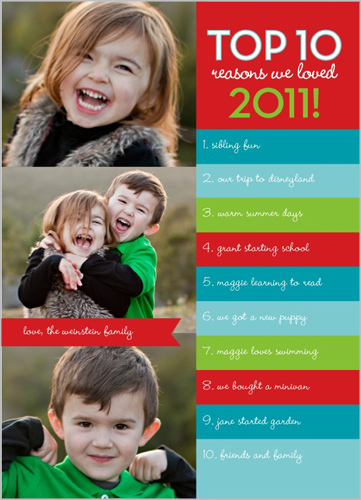 I LOVE SHUTTERFLY & your blog, so this is a double win! 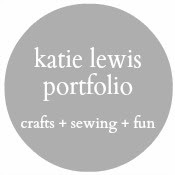 :) I have used their cards for a few years, but would love to get some FREE! Love shutterfly cards!! Great giveaway. Love the pictures. Seriously giving this some thought as I broke my arm recently and the sort I usually make are definitely out this year! Thanks for the great idea! Great giveaway! This would simplify my card plans, for sure! I love their cards! So cute and a fun way to tell friends and family what you're up to!